Recommendation of BARMAK BARUTÇUOGLU GIDA MAKINALARI SAN. VE TIC. A.S.
From 1980, BARUTÇUOĞLU GROUP with all of the companies in the group makes the production for all of the machines and equipments for bakery sector from silos to ovens and offers turn key projects including all processes from design to production, installation and after sales service. Being a solution partner of customers, we are dedicated on establishing full or semi-automatic lines for artisan type productions or industrial high volume productions. BARUTCUOGLU has a high market share and brand recognition in the domestic and export markets with 2 brands BARTECH and EKMASAN. 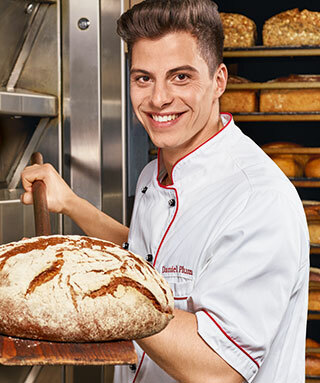 With extensive know how in bakery sector and many references delivered in different continents, different countries and cultures we can handle different projects for many different products from toast to pide, from baton to tortilla, from pizza to buns, from rusk bread to breadcrumbs, from danishs to ciabatta and many different products. Other than our standard products and production, having an state approved Innovation center in our factory we have ability to develop new machineries or concepts for different requests. With our strong engineering infrastructure, makes us one of the main supplier for the industrial bakeries.